We carried a report from Het Laatste Nieuws on Thursday, who claimed Club Brugge will allow Abdoulay Diaby to leave for the ‘right price’. Today’s edition of the same publication reports the player asked to leave the club midway through last season. Therefore, Brugge have been planning for a future without the French-born Malian international. Club Brugge struggled with their transfers last summer and to avoid a similar situation, Ivan Leko admitted the club has ‘drawn up a clear plan’ on the players they don’t want to retain. Diaby is one of them and ‘absolutely’ wants to leave the club this summer. HLN talks about interest from West Bromwich Albion, Levante and Leganes. 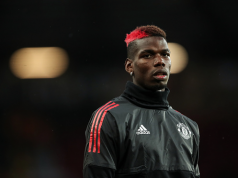 These clubs are keen on signing the player, but none are a ‘dream destination’ for the 27-year-old. West Brom’s relegation to the Championship has clearly dented their attractiveness, and there’s little point pursuing a player if he’s not overly keen on joining the Baggies. 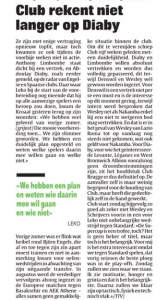 Over at Het Nieuwsblad it’s stated Diaby has ‘transferitis’, and wants out quickly.